Today’s Topic: Back for another year, let’s show everyone what life with diabetes looks like! With a nod to the Diabetes 365 project, let’s grab our cameras again and share some more d-related pictures. Post as many or as few as you’d like. Feel free to blog your thoughts on or explanations of your pictures, or leave out the written words and let the pictures speak for themselves. In yesterday’s post, I mentioned that I am trying to convert from a Windows user to a MacBook junkie. It hasn’t happened yet. I am a MacWinBookDows person. I need them both. Today I started with a photo of 52 crystals lined up in a row. The crystals are the beautiful blue pieces that operate my Animas reservoirs. A long time ago I learned that I don’t need to change my reservoirs on the same schedule as my infusion sets. Each reservoir lasts me for about a week. So these 52 crystals represent a year of reservoirs for me. A year of insulin. A year of life. These crystals represent the soldiers that keep me alive. Day after day. Reservoir after reservoir. Week after week. They remind me of Chinese soldiers. All in a line. Powerful, but regimented. One, two, three, four, five. The Great Wall of China. My kitchen has back splash tiles that measure 3.5 by 3.5. Add in the grout and each tile embraces 5 Animas crystals.10 tiles with 2 leftover crystals equals a year. This morning I lined up 52 crystals. I cropped my photo and then used various filters in Pixelmator to show my Diabetes Soldiers in different costumes. I couldn’t figure out how to do the final cropping on my MacBook, but Photoshop on my Windows Desktop delivered my final photo: Diabetes Soldiers, Diabetes Soldiers Black & White, Diabetes Soldiers Sepia, Diabetes Soldiers Green, Diabetes Soldiers Blurred & Colored, Diabetes Soldiers Bumped, Diabetes Soldiers Vortex and Colored, Diabetes Soldiers Inverted. Diabetes Soldiers. One, two, three, four, five. Animas reservoirs keep me alive. One, two, three, four, five. Insulin keeps me alive. Because the audience for Diabetes Blog Week is mostly a “With It” crowd, I don’t know whether I have any diabetes tricks that will make my readers think “Aha! What a fabulous idea. I would have never thought of that.” One reason for that is that almost everything I know I learned from the DOC. But many of my readers are also bloggers. 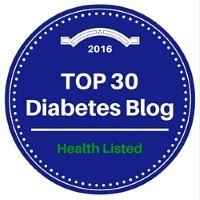 So I decided that I would briefly mention a few diabetes tricks and then a few blogging hints. Because I am approaching my one year anniversary of blogging, I’m sure I’m qualified to help those of you who have been doing this for years and years! Pull out the scissors: A few years ago after I had 2-year period where three or four Medtronic pumps cracked in the exact same place. I was using the Medtronic clip and one rep finally suggested I quit using the clip. They sent me a free leather case which I despised. I started carrying the pump in my pocket with no other protection for it. I hate to sew and just used my scissors to cut holes in my pockets for the tubing to fit through. I have never had any of these holes fray badly or ruin my pants. So those who think you need reinforced and stitched holes for the tubing. Not true. Just be careful when you cut the hole so that you don’t cut any other part of your outfit. Also, don’t put the hole near the bottom of the pocket because things like car keys and coins will fall out of the pocket and take a ticklish journey down your pant legs. BTW once I quit using the Medtronic clip, I never had a pump case crack again. Pants with Pockets: I previously wrote a blogpost about my favorite “diabetes” pants and thought I’d give the link here. As a woman I struggle to find pants with pockets that can hold my pump, CGM, glucose tabs, car keys, and phone. These slacks are perfect for me and I wear them most of the time. I even bought an extra pair and shortened them to work as capris. Click here to get the information. Don’t wait at home: Most of us order at least some of our supplies and medications by internet order and rely on FedEx and UPS to deliver them to us quickly and in good condition. If you live in Minnesota and are expecting a sensor delivery and it is -10º out, what do you do when you need to go to work and can’t stay home to receive your package? Or you live in Phoenix and don’t want insulin sitting on your front porch in 115º temperatures. Both FedEx and UPS have programs that give you many options over the delivery of your packages. Click here to read my November post detailing services available from FedEx and UPS. Those of you who read my blog regularly have probably noticed that I use graphics or photographs for every post. The last thing in the world that I am is an artist, but I used to work at Kinkos/FedEx Office in the days when we provided in-store design service for our customers. I learned the basics of Adobe Photoshop and Illustrator and thoroughly entertain myself by continuing to work in those programs. This winter I purchased my first Apple computer and am slowly trying to wean myself from my Windows design programs. I think that Pixelmator at $14.99 will be a good replacement for Photoshop. I’ve been told that Sketch will replace Illustrator, but I haven’t taken the plunge at $79.99. I’m going to throw out a couple of ideas that you can use for adding graphics to your posts. Text as Art: I often use text as the basis for a graphic. I am cheap and there is no way that I am going to spend money buying fonts to use in my blog which nets me zero money. My absolutely favorite site for downloading free fonts is Font Squirrel which bills itself as Free Font Utopia. You can browse through categories and find some really great fonts to download. It’s easy to download fonts and if you don’t know how, just Contact Me through my blog and I’ll help you. If you want to see some Font-based graphics, click here and here. Clip-art: So far I have not been able to abandon Windows and live in a totally Mac world. My best source of clip-art is through Microsoft Word. Under the Insert Tab, click on Clipart and you will have access to a huge library of free clip-art. I use this clip-art on my blog as well as for fun personal documents. In my Mac world I have not found a lot of free clip-art. I bought PrintMaster for $40 and it has a lot of clip-art. But I keep going back to the desktop and Windows. I have an iPhone, an iPad, a MacBook Pro, and a Windows Desktop. I use all four devices every day. Today’s Topic: May is Mental Health Month so now seems like a great time to explore the emotional side of living with, or caring for someone with, diabetes. What things can make dealing with diabetes an emotional issue for you and / or your loved one, and how do you cope? I don’t carry a lot of emotional baggage with my diabetes. I knew very little about diabetes when I was diagnosed as a young adult in 1976 and I didn’t know that I should be sad, mad, or depressed. Both of my parents had issues with depression and for whatever reason, I have been spared that journey into darkness. I began my diabetes life before home glucose monitoring was available and my insulin regimen was one shot a day of Lente. I followed doctor’s orders when it came to testing my urine and taking my insulin. I wasn’t perfect when it came to my exchange diet, but I followed the diet plan more often than not. 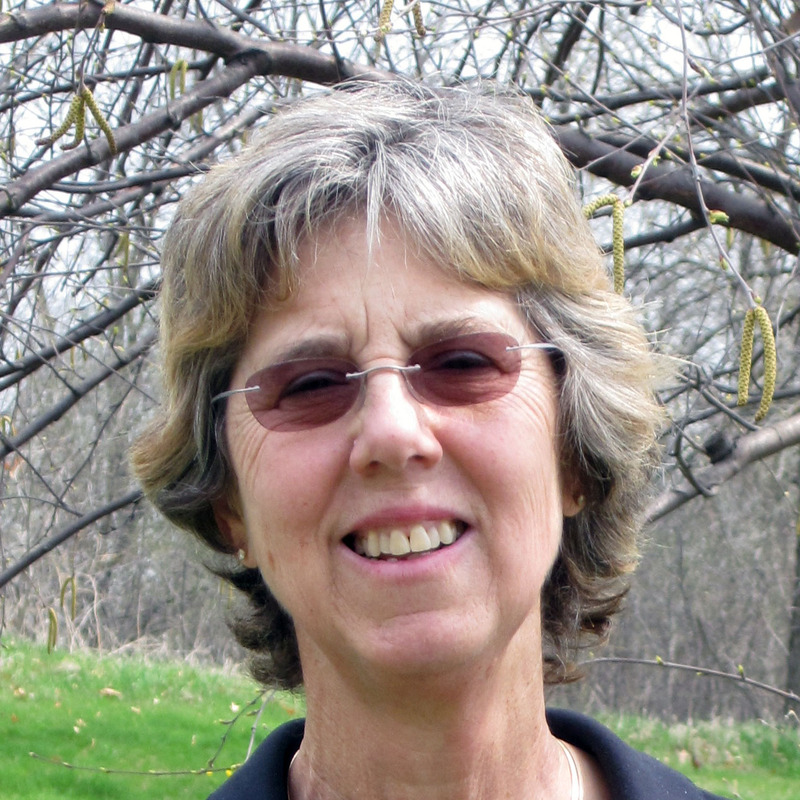 Diabetes wasn’t filled with too much guilt and I had no expectation of perfect control. In some ways I was also very naive. It was never part of my mental make-up that I even had diabetes. To this day my self-conception is that I am active and healthy and that whatever the stereotypes and realities of diabetes are, that’s not me. A phrase in the songs of several artists (The Band, Casey Shea, Harlan Howard, and more) fits me perfectly: “I’m in pretty good shape for the shape I’m in.” Stupid for sure, but it helps keep mental demons at bay. Lest you think that I am all smiley-face and Pollyanna about diabetes, I find it to be an incredibly frustrating and mind-tangling condition to live with. Most of the time my blood sugar responds in a somewhat expected fashion. Things aren’t perfect, but the tracings on my Dexcom are familiar and not totally from Mars. Then days like yesterday. My BG started climbing after my morning walk when usually it stays level or trends low. Multiple corrections and a lunch of only 18g carbs rocketed my numbers high and higher. It was the day to change my infusion set and two changes later (the first one hurt), nothing improved. Boatloads of insulin finally brought things down just in time for dinner. Stir-fried chicken and vegetables (no rice!) re-launched my BG to the stratosphere. Most people who know me think that I am incredibly disciplined and rarely veer off the path of lowish-carb good nutrition. Ha! Not so! A “good diabetic” would have spent the evening drinking oodles of water and avoiding the snack cupboard. Unfortunately my most common reaction to unexplained and “undeserved” highs is to say “What the heck!” and start gorging on crackers, cookies, and ice cream. Add another glass of wine to the mix and moderation is banished. Frustration with diabetes. Disappointment in my lack of willpower. Guilt for sure. A night of Dexcom squawks. A recipe for mental anguish and depression. But morning comes. And just as I have on each of the 13,693 days since I was diagnosed with diabetes, I get up and resolve to do a better job today. Another day filled with diabetes, but a new day nonetheless. 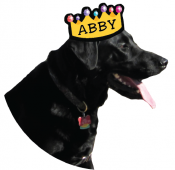 Thanks to Abby the Black Lab who has taken time off from her busy day of napping to share some thoughts about diabetes. But I do know how to rhyme. I’m not a smart alert dog. I don’t smell lows or highs. Would take a big good-bye. And always need a hug. And cuddly like Lancet the Pug. It’s true that I am just a dog. I’m starting to get old and stiff. My joints are getting sore. DSMA walks will be no more. Glucose meters come and go. 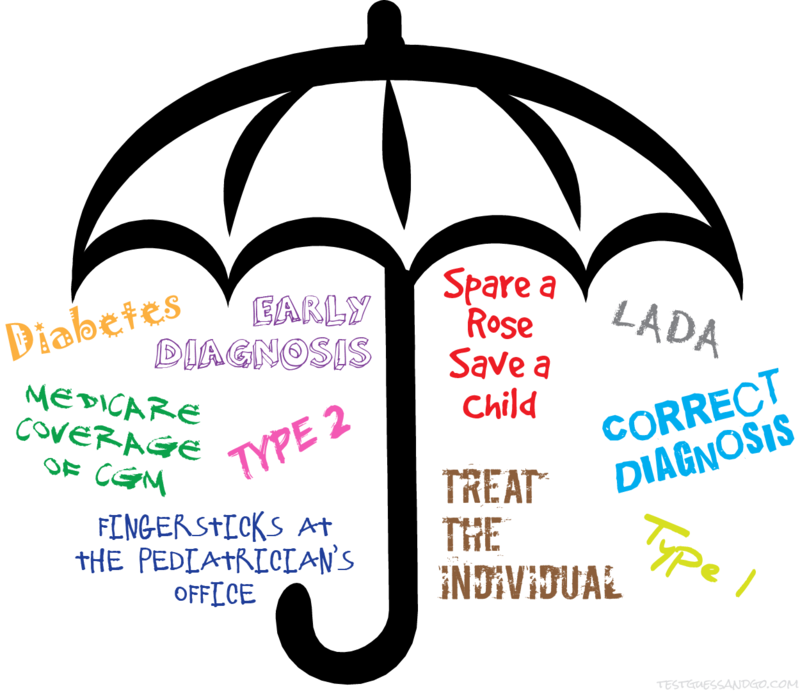 Type 1 and Type 2 likewise. And not the Nobel Prize. And don’t come back another day.